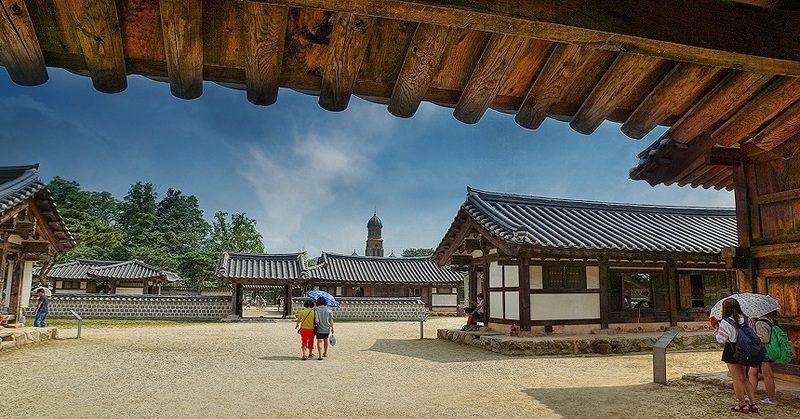 Located in southwestern Korea, Jeonju is an ancient city since thousand years ago, the Silla Kingdom time, and till now people still keep the traditions and the historic houses which were constructed as before. Take airport limousine bus from Incheon or Gimpo International Airport to Jeonju , it will take around 3.5 hrs. Jeonju Hanok Village is located in the city of Jeonju. Around seven hundred traditional Korean houses called “Hanok” are concentrated here. Jeonju Hanok Village is famous the traditional houses which being preserved really well as the past, and people in Jeonju still living in. 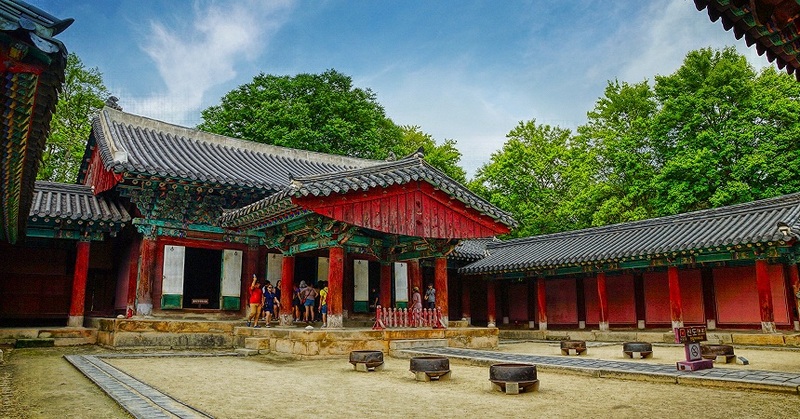 Get to Jeonju Hanok Village from Jeonju Express Bus Terminal: Take Bus No. 5-1 or 79, get off at Jeondong Cathedral (Hanok Village) Bus Stop. Get to Jeonju Hanok Village from Jeonju Station: take Bus No. 12, 60, 79, 109, 119, 142, 508, 513, 536 or 542, and get off at Jeondong Cathedral (Hanok Village) Bus Stop. Next to Jeonju Hanok Village and connect to the Omokdae and Imokdae historic sites. 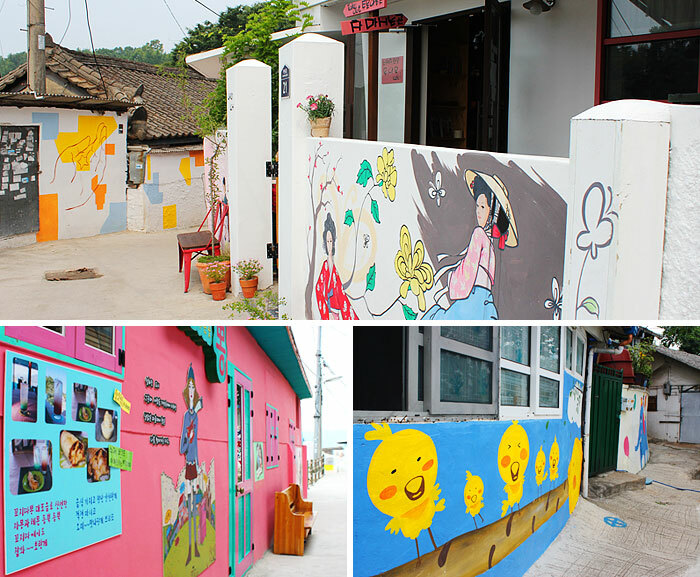 In the 1960s, small houses were built along with the alleys which Jaman Mural Village located at now. After many of murals painted on the walls, this alley slowly became a famous attraction to the tourists. 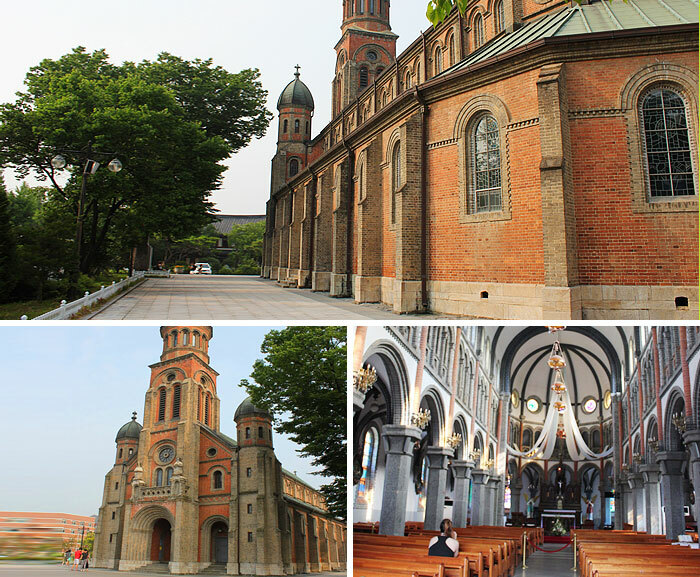 Jeondong Catholic Church is a mixture of Byzantineand and Romanesque style building, and was designed by Priest Poinel, who is also the designer of Myeongdong Cathedral in Seoul. 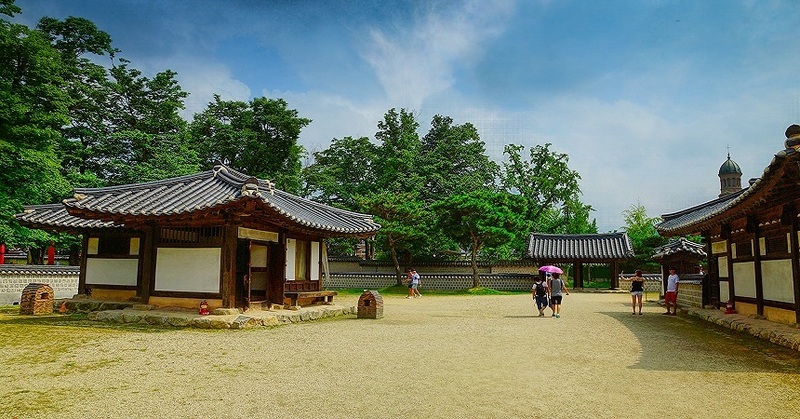 Gyeonggijeon was built around 600 years ago, and now being designated as the private historical landmark of Korea. Above are the must visit in Jeonju we recommended, to explore more, visit this mysterious beautiful city, Jeonju. This entry was posted in Spot and tagged Jeonju, Jeonju Hanok Village, Korea, Korea trip, ‪‎travel.